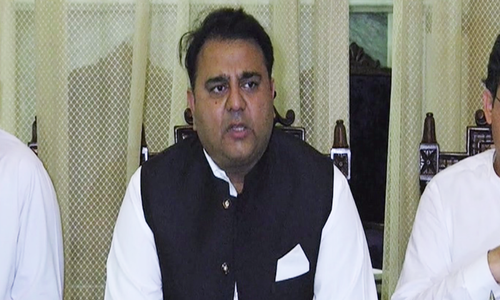 Information Minister Fawad Chaudhry on Sunday suggested that Pakistani media houses revamp their revenue models to maintain their independence and "mentally prepare" for the future when technology will change the way television and the news are consumed by audiences. 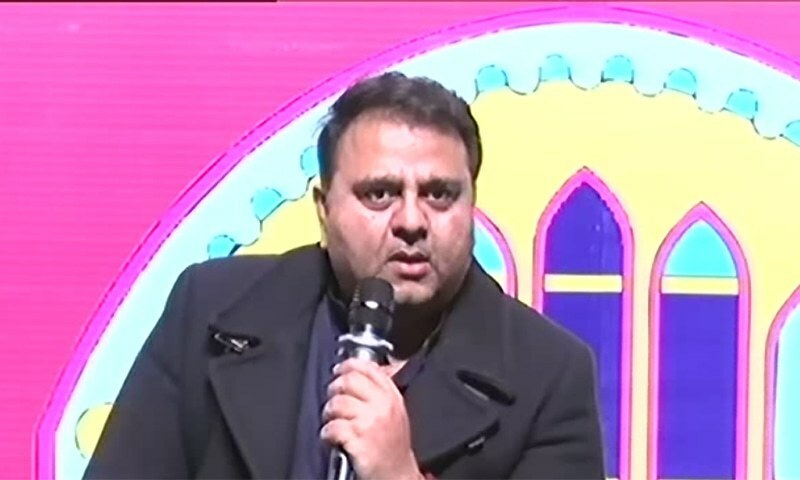 The information minister told participants at the third ThinkFest at Lahore's Alhamra Arts Council that whenever he told media houses that their revenue models "won't work", they get angry at him. Chaudhry used the sale of Pakistan Super League's broadcast rights as an example to illustrate large costs to the media incurred by various events. He said that If the Pakistan Cricket Board sells the rights for $30 million, the total budget will probably end up in the vicinity of $45m "because the advertiser has to earn something as well". "If there are elections in India in May and there is a Pak-India series here, then a large chunk of advertising expenditure will go to sports," he said, giving another example of a possible expense that could be faced by media groups. He observed that big advertising budgets had been shifted from news to entertainment by media groups. "The news media wants the government to sponsor them. How can the government sponsor them? It will either have to take loans or impose more taxes in order to give them money," he said. "It is not in the interest of Pakistan to subsidise the news media. 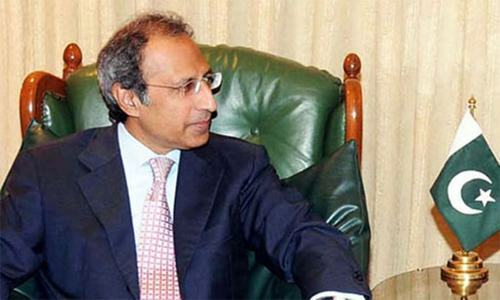 They must have a vested interest in the Pakistani economy," Chaudhry said. "News channels across the world don't build their models on the basis of the government," he added. "Is the government your saviour or client? If I am your saviour, then how will the media be independent?" he asked. "If I pay, then I will decide what the headlines will be. The dependence of the media on the government must decrease in the interest of the independence of the media, and they will need to revamp their models," he said. The information minister complained about how print media and the Cable Operators' Association take issue with his statements when he warns them that digital media and modern technology are outstripping them. "For cable, this is also the last five to seven years," he predicted, adding that although he is not responsible for the advances in technology, he is accused of "scaring" the media and cable service providers. "But technology will take over print media and television media ─ in different forms ─ so you will need to prepare mentally," he warned. "Our contribution is that we're building a modern university to impart new skills so that our students are apprised of modern media trends," he said, explaining the steps the government is taking to stimulate the industry. Earlier this month, the All Pakistan Newspapers Society (APNS) had criticised Chaudhry's observation that the future of print media in Pakistan is bleak. The APNS had said that print media is presently facing financial difficulties due to the policies of the government that "intends to control the media and to silence the dissenting voices". The APNS had reiterated its resolve to fight against adverse conditions and ensure that print media braves the crisis. As part of its manifesto, the Pakistan Tehreek-i-Insaf government had promised to make the Pakistan Broadcasting Corporation, Pakistan Television autonomous in order to ensure freedom of press, and to make the Pakistan Electronic Media Regulatory Authority autonomous to prevent the watchdog from becoming "a political tool". The extraordinary boycott of present government's activities/efforts by media is not surprising. PMIK has ordered cutting off of the traditional funding of news channels from taxpayers money. Can IK find another wise person to replace FC! The man is right on this one. Translation; We don’t like what you print so be careful. @Liaquat, A right person at the moment for the job. Mr. Minister, please publish all the names who were on Maryum Nawaz Sharif Social Media and were paid from Public Fund. Same like N League Information Minister, Maryum, used public funds for campaign, public all information. In this electronic age, nobody can get away with lies. 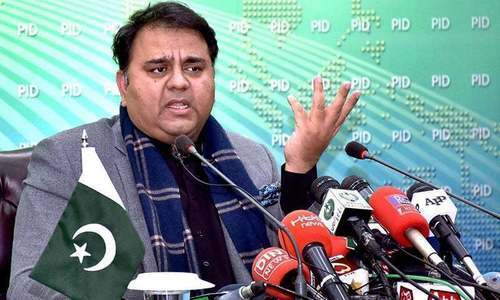 Agree with Fawad Chaudhry, our Pakistani media is either run by politicians or too much influenced by them, they never keep the balance and be honest in their reporting. Naya Pakistan, there are no fat cheques or free lunches for media in Pakistan. The media houses need to change their business model and earn popularity and their keep thru good honest journalism instead news for money. Even the PTV is looking shade “independent “ these days instead of being a mouthpiece for IK and his government. @rehan, "The future of print media is bleak." -- What's unbelievable here? "Our media must change their advertising and sponsorship model" -- Where is the lie? Ch Fawad is right, impressive and aggressive a great quality, keep it. @rehan, you have to start understanding communication and economics before start typing. @haris, print media doesn't want government money. They don't also want any sort of interference. Mr Minister, agreed u don’t subsidize the Media. But you also don’t interfere their independence.